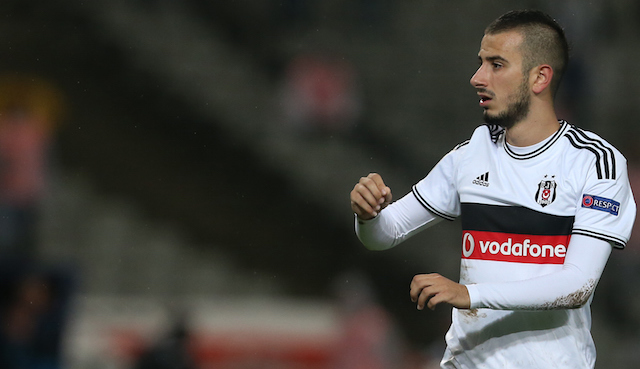 Valencia are preparing a bid for Besiktas star midfielder Oguzhan Ozyakup according to the Takvim newspaper. Per the source, Valencia have made an enquiry and are set to make a bid for the highly sought after Turkish international. Los Che have been keeping close tabs on the 23-year-old midfielder over the past season and recently signed Luis Nani from Super Lig rivals Fenerbahce. The Daily Star report states that Valencia could face competition from the Red Devils who are preparing a £20 million move for Ozyakup. United boss Jose Mourinho is reported to be keen on Ozyakup and Talksport claim that he recently consulted West Ham manager Slaven Bilic regarding the midfielder. Bilic did of course coach Ozyakup for two seasons during his time in charge of Besiktas. The former Dutch U21 international captain became one of the most highly sought after players in the league under the Croatian manager and played a key role in the Istanbul giants winning the league title last season. Ozyakup played for Arsenal as a youth player before joining Besiktas in 2012 in pursuit of first team football.